Is It Possible to Naturally Improve Skin Elasticity? Everyone wants to maintain supple, smooth skin throughout life, but finding the proverbial fountain of youth is easier said than done. Don't despair -- it's surprisingly simple to improve your skin's elasticity using a variety of all-natural methods. Small changes in your diet and smart uses of essential oils can boost anti-aging benefits, leaving your skin enviably soft and resilient. Your skin's suppleness is determined by two key factors: collagen and elastin. Natural aging processes and damage caused by environmental factors are the primary culprits behind elasticity loss. Fried food, cigarette smoke and sun damage can all contribute to the problem, but antioxidants help your body fight these sorts of environmental factors. 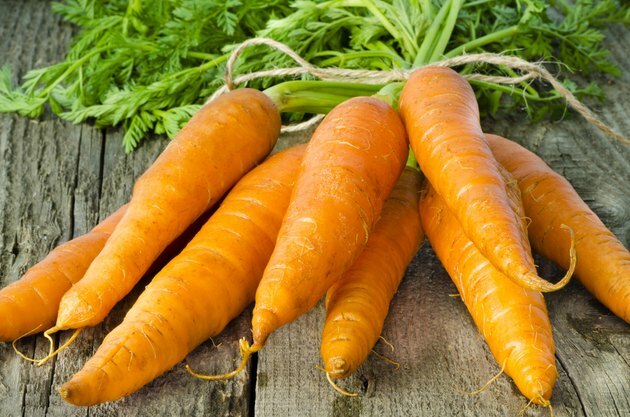 Load up on foods rich in Vitamin A, such as carrots, tomatoes, apricots, watermelons and sweet potatoes. These all contain betacarotene, which help block free radicals: pesky agents that can increase the risk of premature aging and disease. Beyond keeping your diet and your sun-and-smoke habits in check, look for cleansers and creams that contain the essential oils chamomile or neroli, which both improve skin's elasticity. Chamomile helps smooth out broken capillaries, thereby boosting skin's elasticity; neroli aids in cell regeneration, additionally reducing the appearance of varicose veins and scarring.